The workplace can be home to accidents and safety concerns, as evidenced by the fact that a worker is injured on the job every seven seconds. In other words, by the time you finish reading this sentence, a workplace injury may have taken place! With the right effort and foresight, the number of on-the-job accidents can be reduced. Here are five workplace injury prevention tips that every employer should practice. Employees that are overworked and are tired or sleep-deprived are less alert and therefore more prone to being involved in an accident. Be careful about scheduling employees in a way that will disrupt normal sleeping patterns (such as a late night shift followed by an early morning shift), allowing employees to work too many overtime hours or allowing them to work without any breaks. When an employee feels rushed to complete a task, they might take a shortcut or perform the job in a hurried manner. Naturally, the risk of an injury increases when this is the case. Instead of stressing how quickly something gets done, stress that it gets done properly, efficiently and of course, safely. Some safety training programs unfortunately leave employees ill-equipped for staying safe while leaving employers at risk for liability. Devise and implement a training program that meets OSHA standards and administer regular testing to keep safety a priority for employees. Employees can be kept safe through the proper use of protective eyewear, belts, hard hats, gloves, masks, earplugs and more. And protective equipment shouldn’t be limited to physically protecting employees. 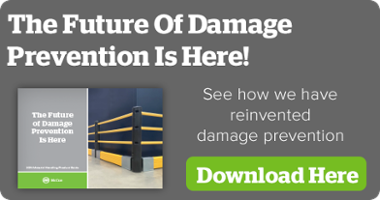 Use bollards, column guards, crash barriers, post covers and other protective equipment to cover up sharp or hard objects around the workplace that pose a threat to collisions. Many workplace injuries happen as a result of messy or cluttered work spaces. The risk of slips, trips and falls increases with every out of place box or pool of spilled water. Be sure the areas where employees are moving around is kept clean and free of clutter and debris. Follow these five tips and keep your workplace safe and injury-free. To learn more about products that can prevent workplace injuries, visit McCue today.